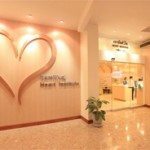 January 15, 2019 Apichai Pongpatananurak, M.D. Exercise is generally beneficial to health. But, as with everything, there are positive and negative aspects involved. Thus, before you take up playing a sport seriously, make sure you study that sport’s potential transformative effects on the body. Each sport affects the body differently. For example, marathon running will tend to impact the joints or cause heat stroke, as it is a sport which takes place outside where it is possible that the body may experience dehydration if it is carried out in an environment of high temperatures. However, whichever form of exercise you select, it is sure to effect the heart, because all sports rely on the heart to help pump blood around the body. It is well known that aerobic forms of exercise are of direct benefit to the heart, because they emphasize the movement of large muscle groups at a constant and sustainable pace. This is because aerobic exercise causes peripheral arteries to expand, thereby reducing systemic pressure. Therefore, even though the heart works harder during exercise, its workload does not actually increase by much due to the expansion of blood vessels easing the body’s blood flow. Weight training, on the other hand, relies on the sudden constriction of muscles. Such training burns energy in a way that doesn’t require oxygen (anaerobic exercise) and causes peripheral arteries to become somewhat restricted. The result of over-exercising in this manner can be a heavier workload placed on the heart, as the peripheral arteries’ decreased size makes it more difficult to pump blood around the body, thus leading to the heart working harder to overcome the resistance it faces. For those who often train in this way, their body and muscles may be pleasing to the eye, but internally, they may be suffering from high blood pressure and even cardiomyopathy. Tennis is just one type of aerobic exercise and is considered of great benefit to the heart, even though overtraining aerobically – as is the case for international athletes – has been found to lead to a slight growth and thickening of the heart’s ventricles and walls. Nonetheless, when the expansion and contraction of the heart muscle have been analyzed, the heart is usually found to be operating at normal levels, whereas the hearts of those who frequently train with weights have been found to expand at a slower-than-normal rate. However, can it be said that exercising aerobically has no ill effects on the heart whatsoever? I’m sure you’ve all seen news articles that come out every so often which spread fear throughout the population. Headlines exclaim the death of someone who suffered a sudden cardiac death while exercising aerobically. These tend to exclusively affect players of aerobic sports, such as football, basketball or American football. All of this doesn’t mean to say that aerobic exercise is more deadly than weight lifting. If you look closely, you will see that in most cases the person who died this way did so while competing. Therefore, please allow me to reiterate by saying that the cause of their death was not the aerobic exercise itself, but rather the competitive aspect which can lead to players trying to win at all costs, even going so far as to ignore their own body’s limitations. Conversely, those who do weight training tend to be aware of their limitations and stop before they reach the danger zone. Nevertheless, competitive aerobic sports are not as scary as you may think. The actual rate of people suffering a fatality is extremely low when compared to the population as a whole. The figure is actually less than 0.1%. The fatality rate is particularly low when players undergo a basic cardiac evaluation before beginning an intense training regime. Generally, sudden death syndrome is categorized according to the age of the sufferer. For those under the age of 35 years, the causes tend to be related to hypertrophic cardiomyopathy, whereas factors related to some forms of electrical induction – the long QT group of conditions for instance – tend to affect women from 35 years. Additionally, the factors associated with coronary artery health are usually the main cause of sudden death in those who are 35 years and older, especially if they have diabetes. The condition, however, is particularly difficult to diagnose in women under the age of 35 who have diabetes or smoke. Diagnose is difficult because these patients usually do not experience any chest pain prior to death. Hence, if you wish to train confidently and to your full potential, undergoing a general health checkup prior to beginning such training is of vital importance, especially for patients with diabetes, a family history of sudden death syndrome or a history of fainting. Such basic health examinations are quite simple, consisting of an echocardiogram (ECG) assessment and/or an exercise stress echocardiogram, with the individual’s health, suitability for a certain sport and potential risk factors taken into account. Cardiovascular conditions and their symptoms are not always obvious, nor do they offer prior warnings with any consistency. Undergoing assessments of your cardiovascular health to ensure you are physically ready is therefore seen as a great way to provide you with the confidence and awareness of your body’s potential before taking up whatever sport you wish to play. Ensuring Cardiovascular Readiness Exercise is generally beneficial to health. But, as with everything, there are positive and negative aspects involved.